I am very open with my children. We don’t use made up names for body parts or shy away from potentially embarrassing discussions, but there was one talk that I struggled with. My resistance wasn’t about the scientific side of things, or even the sexual discussion that would inevitably follow. I think it’s important that my daughter understand her body and especially her reproductive system. I just didn’t want to tell my daughter that soon her life could potentially get uncomfortable and messy. I didn’t want her to know that being a woman means a monthly visitor that most of us find unpleasant. I wasn’t ready for her to grow up. Thankfully, she was more prepared than I was. We talked about it. I showed her a variety of pads and tampons and explained how they worked and where she could find them when the time came. She is ready although she does think the whole thing sounds “disgusting”. I can’t really argue with her on that one! Playtex is doing their best to make this transition in a girl’s life easier. They have a new Playtex Sport Combo pack, which offers Playtex Sport Tampons along with the new Playtex Sport Pads or Playtex Sport Liners. These combo packs are ideal because not only could I show my daughter both pads and tampons by opening just one box, they are right there for her to choose what she needs. 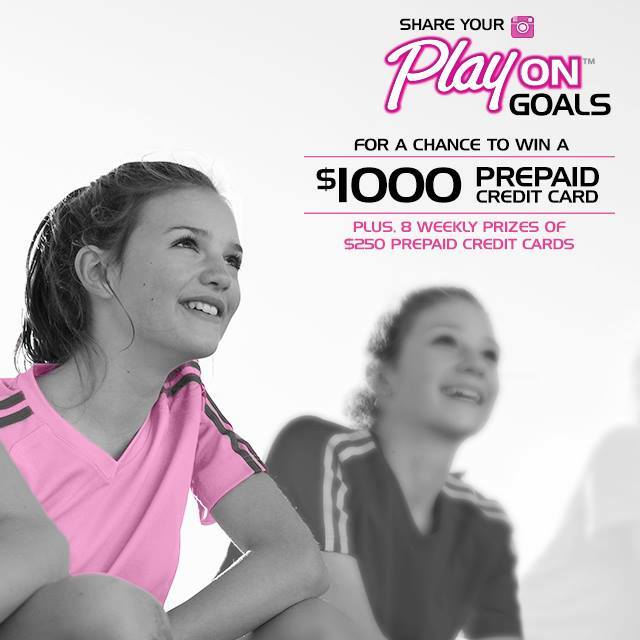 This summer, Playtex® Sport® is celebrating young women across Canada with an Instagram contest that asks girls to show how they Play On™. For additional information, follow us on Instagram and Twitter and visit www.PlaytexPlayOn.ca. I am just about to start this process with my twins and I appreciate the tips! I think the kit sounds awesome. Definitely makes things easier!!! The kit is such a good idea! I wish I had a kit like that when I was a pre-teen, it would have helped so much!